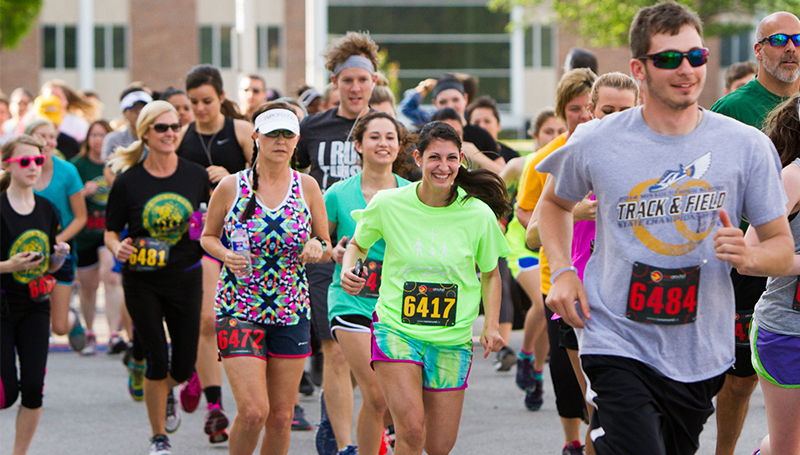 Registration is now open for the Run With the Pride 5K, which will be held at 5 p.m. Sunday, April 29. The all-ages race will begin at Young Gymnasium. The entry fee (which will include a T-shirt) is $10 for faculty and staff, $10 for students and $20 for members of the community. Race day registration will cost an additional $5. Special awards will be offered and all participants will receive a medal. The event is sponsored by Mercy Hospital, the Run Around and MSSU’s Beimdiek Recreation Center. Proceeds will benefit the Lori Pflug Memorial Scholarship and the university’s Kinesiology Department. For more information, visit www.mssu.edu/academics/education/kinesiology, or contact Maria Bruggeman at 417-625-9627 or 417-625-9627.